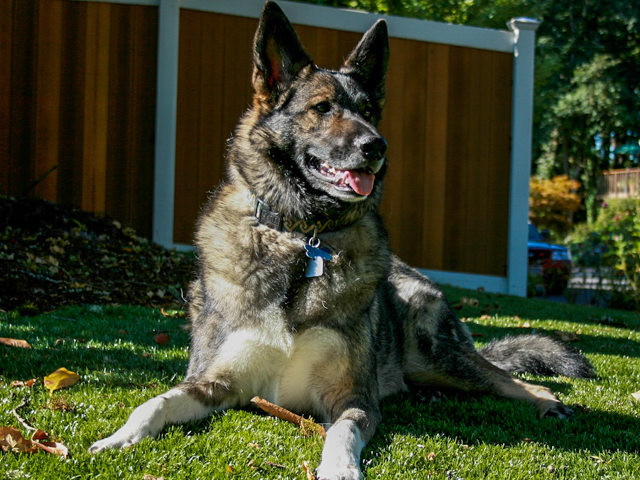 Pet Friendly Artificial TurfSynthetic turf solutions from SYNLawn are a low maintenance way to keep your property green in every season without a drop of water and at a fraction of the maintenance. Garden City Groundskeeping is the West Toronto distributor and installer for SYNLawn — the most in-demand name in synthetic turf. SYNLawn is an excellent choice for pet areas and dog parks. While it doesn’t eliminate the need for pooper scoopers, liquids drain through to aggregate or gravel underneath. With the help of rain or a little water, your pet’s area stays clean and tidy. Best of all, no more mud gets tracked through your yard or your home. Artificial grass can be the perfect solution for functional, stylish surfacing of patios, roof decks, balconies and other small spaces. For swimming pool areas, SYNLawn provides a low maintenance surface that is quick to drain and dry while keeping the look of real grass. For courtyards and enclosed spaces, synthetic turf offers a pleasing contrast to paved surfaces. You don’t want to pave or interlock every grass surface that gets a lot of traffic, but real grass suffers from soil compaction and frequently turns into a muddy mess. Kids’ play areas, commercial lawn spaces and even rooftop gardens can be surfaced with SYNLawn. With proper installation, your synthetic lawn will resist wear and tear, while staying green throughout the year. Give Garden City Groundskeeping a call for a free consultation to find out how synthetic turf solutions can fit your landscape and budget. To learn out more about how pet-friendly SYNLawn can improve the appearance of your small space visit our SYNLawn Toronto Web site.